Bison Transport is known to empower, enable and elevate its people. Throughout the year we run several initiatives to engage and motivate our teammates. Every year the Institute for Performance and Learning supports a national campaign called Learn @ Work Week (L@WW) to highlight and celebrate the contributions that learning and development (L&D) professionals make on both an organizational and societal level. With a motto of “Learning is the foundation of everything,” L@WW gives Bison's L&D team the opportunity to demonstrate this in a hands-on way. This year, we focused on education about our terminals – helping Bison Transport employees learn more about where they work and the neighbouring regions. The week started with a Bison bingo card encouraging everyone to meet others around the office. To fill the card it meant an employee had to talk to 24 different people in the business. This included finding alumni of the New Grad Program, and Charging Ahead recipients. The week continued with online quizzes about the terminals in each region of Canada. We had over 150 players test their knowledge of Bison’s terminals and emerging business areas. We also provided opportunities for people to complete Macro 14, Bison’s in-house Locked Room experience. 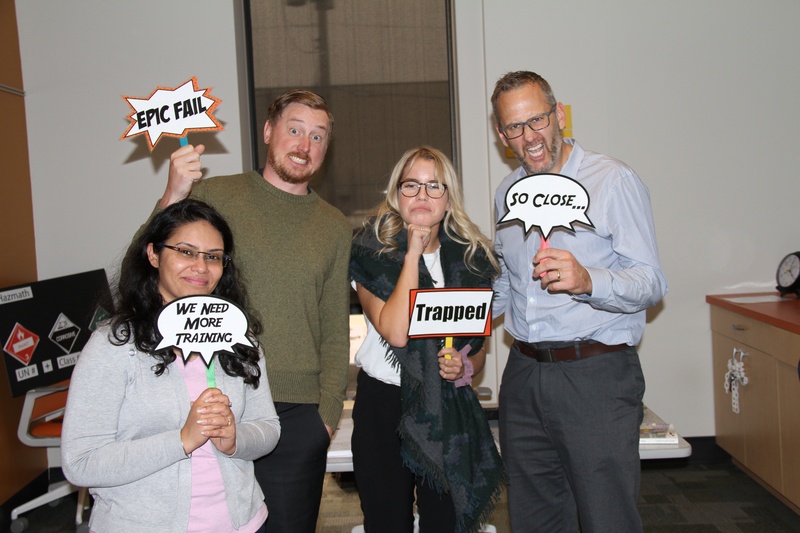 While not every team escaped the room in the 60-minute timeframe, they all agreed they had fun. Most importantly participants learned more about Bison’s operational programs and that communication is important between departments. Prizes were randomly given to 10 participants in events throughout the week. L@WW is a great opportunity to showcase some of the things L&D does at Bison and the ways we support, educate and grow the business.